The procedures, with the rules and the appendix for this competition, are available on the CGI website (www.ssvpglobal.org). The written entries must be no more than 20 pages long. Cash prizes will be awarded for the three best entries (1000, 750 and 500 euros, respectively). The SVP Conferences to which the winners belong will also receive a cash award to the same value, to be spent on behalf of the families and individuals they help, or on Vincentian works. Entries may be submitted in one of five languages: Portuguese, Spanish, English, Italian and French. The closing date for sending in dissertations / studies will be July 8, 2018. The organizing committee will announce the final result on September 9, 2018, and the prizes will be sent to the winners immediately afterwards. 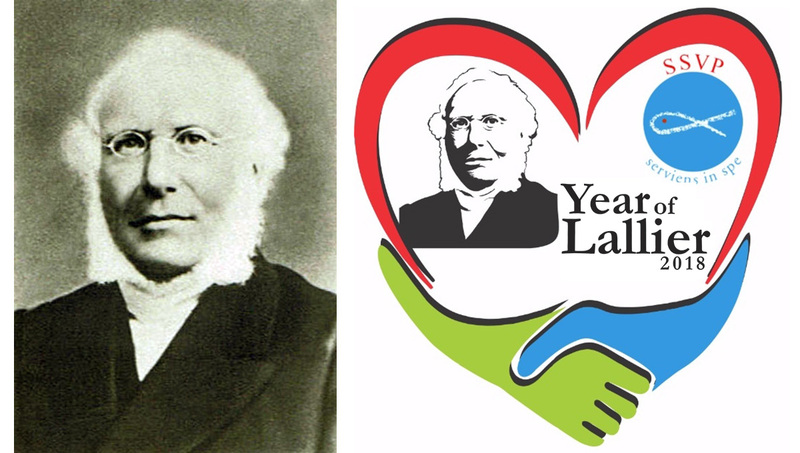 This competition was announced in the 16th President General’s programme for his term of office, which instituted the “themed years” in order to spread knowledge of the life, work and legacy of the founders of the first Vincentian Conference in 1833. Council General hopes that many Vincentians, especially young people, will take part in the Lallier competition, as they did in the Bailly competition, which was a great success. “We need to study and value the biographies of our beloved founders,” our fellow member Renato Lima asserts. This competition will be repeated each year, until 2022. In 2019, the subject will be “Paul Lamache.” So come on! Let’s ask Superior Councils to help CGI spread news of this competition to the Conferences and Councils in every country, as well as to Vincentian schools and colleges, and to Catholic universities.